The CLA says that private landowners are fed up of clearing away other people’s rubbish and paying for the privilege and call for tougher penalties on flytippers. Seizing vehicles must become the default penalty for fly-tipping as part of tougher punishments for waste crime, according to the CLA. The organisation which represents landowners, farmers and rural businesses has launched a five-point action plan that it believes should be adopted to tackle the scourge of fly-tipping blighting the countryside. As well as seizing vehicles to act as a deterrent, the CLA recommends enforcing fines for home and business owners whose waste is found in fly-tipped locations and appointing a ‘Fly-Tipping Tsar’ to co-ordinate with national agencies on the scale of this organised crime. The CLA’s action plan also proposes developing new ways to clear up and support victims so that private landowners are not liable as well as educating the public on this anti-social behaviour and working in partnership to help reduce waste crime through best practice. 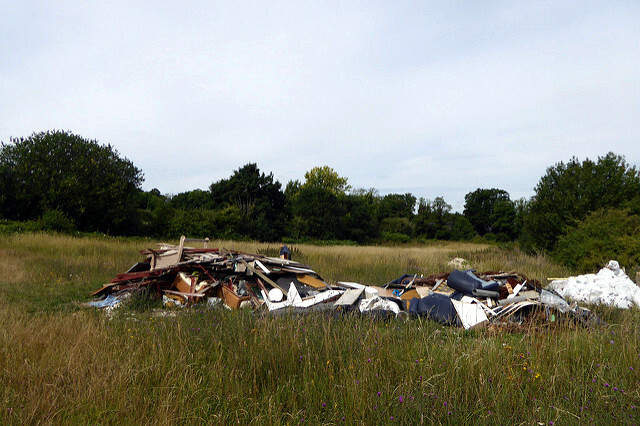 Results from a survey conducted by Farmers Weekly and CLA Insurance recently revealed that almost two thirds of farmers and landowners have been affected by fly-tipping and over half agree it is a significant issue in their area. Some 85% have taken measures to protect their land such installing gates or barriers, padlocking entrances and using CCTV, but only 13% have insured their farm business against fly-tipping. Most victims surveyed said they had been targeted on multiple occasions, around two to three times per month, and because private landowners are liable for the clean-up process they are spending on average £844 per incident. Out of 936,000 fly-tipping incidents in 2015/2016 only 129 vehicles were seized, and out of 2,135 prosecutions only 77 fines of over £1,000 were imposed, according to figures published by Defra earlier this year. “Fly-tipping is not a victimless crime. Private landowners are fed up of clearing away other people’s rubbish and paying for the privilege. If they don’t act, they risk prosecution for illegal storage of waste which is simply not fair. “It’s not just the odd bin bag that is being fly-tipped but tonnes of hazardous waste, mattresses being set alight in woodland and even a dead horse dumped on private land because the perpetrators know they can get away with it. Waste attracts more waste so once there is a fly-tipping hot spot, more usually follows. “We need to see tougher penalties which act as a true deterrent. Seizing vehicles involved in fly-tipping and imposing and enforcing penalties which better reflect the seriousness of the crime is vital. 1 Comment on "Tougher penalties needed for fly-tipping, says CLA"
According to the IW Council incidents of fly tipping have not increased. Of course,they haven’t, as far as they are concerned, because it is happening more and more on private land. It is a sad state of present day life when people cannot be bothered to take stuff to the tip to dump.